As a professional motorsports photographer I get to travel to many different racing venues to capture a number of different types of speed contests. 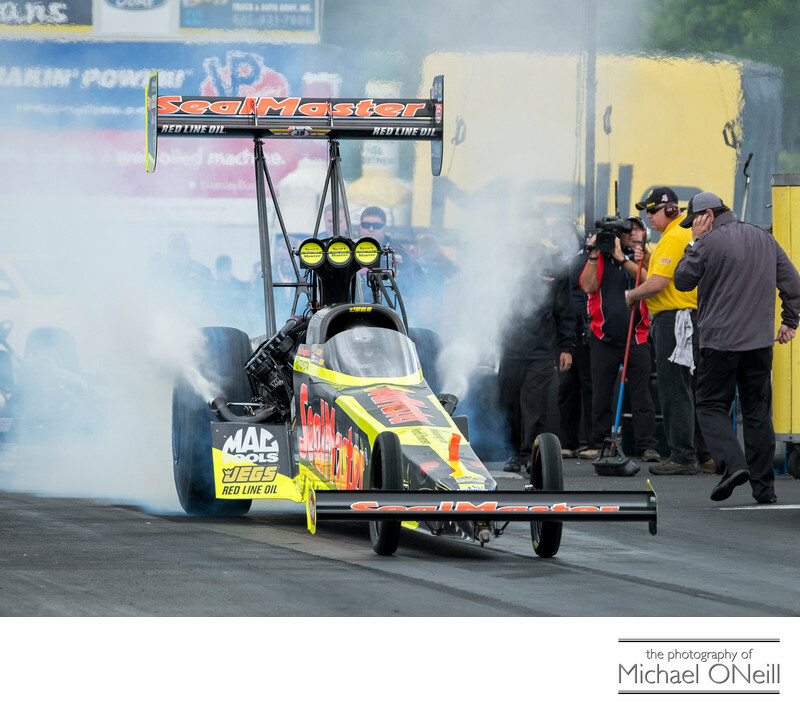 One weekend I may be at New England Dragway in Epping, NH or at Raceway Park in Englishtown, NJ photographing the NHRA Mello Yello drag racing series. The experience of being alongside these 11,000 HP machines defies description. The following weekend I might be down in Millville, NJ at New Jersey Motorsports Park (NJMP) capturing the Championship Cup Series (CCS) or the MotoAmerica motorcycle road racing events presented by these governing bodies. The weekend after that it could be off to Lime Rock Park in Lakeville, CT to cover the Pirelli World Challenge (PWC) or the IMSA WeatherTech Northeast Grand Prix sports car races. Being flexible and being diverse are strong qualities to have in the world of professional motor sports photography. Different skill sets are required to get the shot in the many different types of speed contests I attend. A quick tour of my motorsports portfolio web page is a fine testament to the skills I’ve developed and perfected on the numerous magazine and editorial assignments I’ve completed over the years. Choose wisely when picking the photographer to capture your motor sports event. They are all once-in-a-lifetime races with no do overs. The race pictured here lasted a little over three seconds with the top fuel dragster being in my line of sight for maybe a single second. Capturing the defining moment is what it is all about so simply having the photographic skills is not nearly enough. The photographer must be well-versed in the dynamics of the event that they are covering. Who are the players? (Riders. Drivers). Who are the favorites? Who should they be watching? What are the more complex areas of a road course to negotiate? Where is the main action most likely to take place? What is the best track position to set up in, and with what gear, to increase your likeliness of getting that killer shot? It’s more than putting on a vest and taking some cool photos. The photographer is an integral part of the editorial or advertising team that has a need for their images. Give me a call. I’d love to be a part of your team.